I really LOVE the ancle boots. I hope it doesn’t rain in Bergen-Norway as much this fall as last, because I really want to wear something else than rain boots this season. 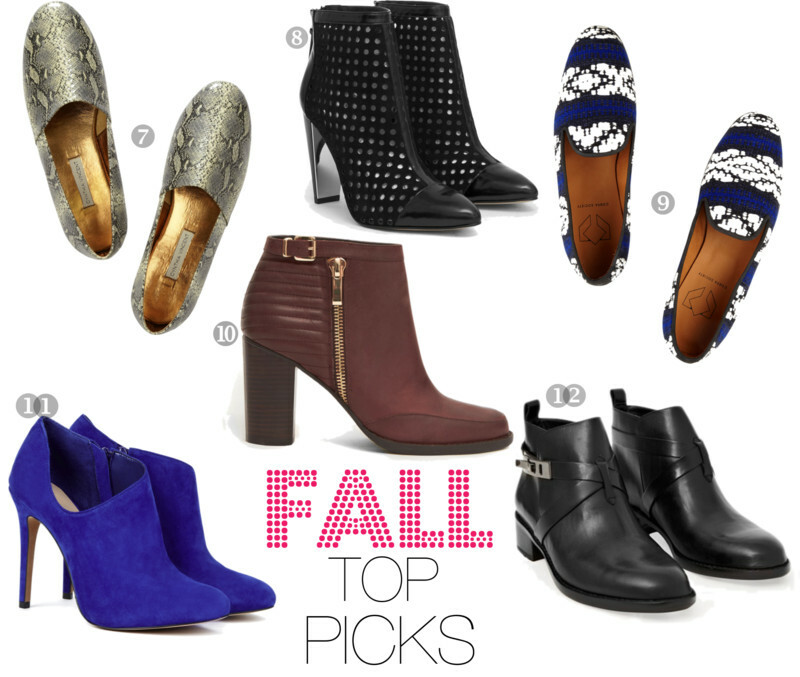 I love that booties are so in! I just scored a pair from Ann Taylor with a cute leopard heel and I can’t wait to rock them. CUTE! Ann Taylor always has great prints that are typically done really well! Thanks for stopping by! Have a great week! Ooh great picks! I love 1 and 8. Me too!! We might just have to take the plunge! Thanks for stopping by Rebecca! Have a great week! Great picks! #6 are my favorite, I need them! I need them too!! Thanks for stopping by Cintya! Oh man, no. 1 is so gorgeous!! Love those!